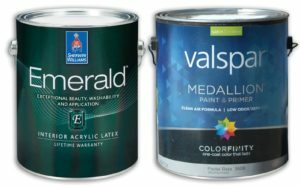 PPG announced Thursday that it was ending its pursuit of AkzoNobel, clinching Sherwin-Williams’ new title as “global leader in paints and coatings” after formally closing on Valspar that same day. “We were hopeful throughout this process that AkzoNobel’s Boards would see the merits of our compelling proposal to combine our two great companies and create significant shareholder value and a more sustainable business for the future,” PPG CEO Michael McGarry said in a statement. “We strongly believe a combined company would create more opportunities and provide more benefits for our collective customers, employees, shareholders and society in general. “We made a final attempt for engagement late last week and through a letter … In that letter, we addressed AkzoNobel’s stated commentary around value, certainty, timing and stakeholder considerations, and provided additional and specific commitments and assurances including a significant break-fee and an offer to negotiate a nominal price increase as part of an agreed transaction. However, AkzoNobel’s Boards have consistently refused to engage and did not respond to our call or letter. As a result, we believe it is in the best interests of PPG and its shareholders to withdraw our proposal to AkzoNobel at this time. In contrast, Sherwin-Williams CEO John Morikis reveled in his new expanded company Thursday. PPG tried to buy AkzoNobel on friendly terms three times with unsolicited offers. It most recently offered about $28.8 billion, or about $103.77 a share for a 50 percent premium on AzkoNobel’s price before merger talks, and unsuccessfully offered Monday to sweeten the deal with other concessions. PPG on Monday offered a closing date of 15 months under a deal that gave the closure a year with two three-month extensions for regulatory issues. If the deal took longer than 15 months, PPG offered to pay AkzoNobel shareholders, a “ticking fee” of $0.11 per share monthly, or more than $28.3 million every month. McGarry sent the letter after Burgmans refused to take a “5 minute call” but said he would receive a written message, according to the PPG CEO. We asked AkzoNobel Thursday what this might mean for auto body and auto paint shops but have not yet received a response.